The White Nile contributes about 25 – 26 x 109 m3 to the Main Nile measured just upstream of the White – Blue Nile confluence in Khartoum. It receives water from rivers that drain the Equatorial Lakes region of the Nile Basin and which pass through a series of natural lakes and swamps. As a result, the White Nile provides a relatively more uniform seasonal flow compared to the Blue Nile and Tekeze-Atbara rivers. The White Nile provides long navigable reaches due to its flat slope and stable flow. There are 36 meteorological stations in the sub-basin, with 30 of them in Sudan, four in Ethiopia and two in South Sudan. The distribution of the stations is shown in the map below. 8 stations (five in Sudan and three in Ethiopia) are reported to measure the full range of meteorological parameters and the remaining 22 measure daily rainfall totals only. The only station that is operational is White Nile at Malakal. The station is close to of Malakal town just downstream of the Sobat – White Nile confluence. Historically, there were four additional stations but they were not operational at the time of the survey conducted in 2014. 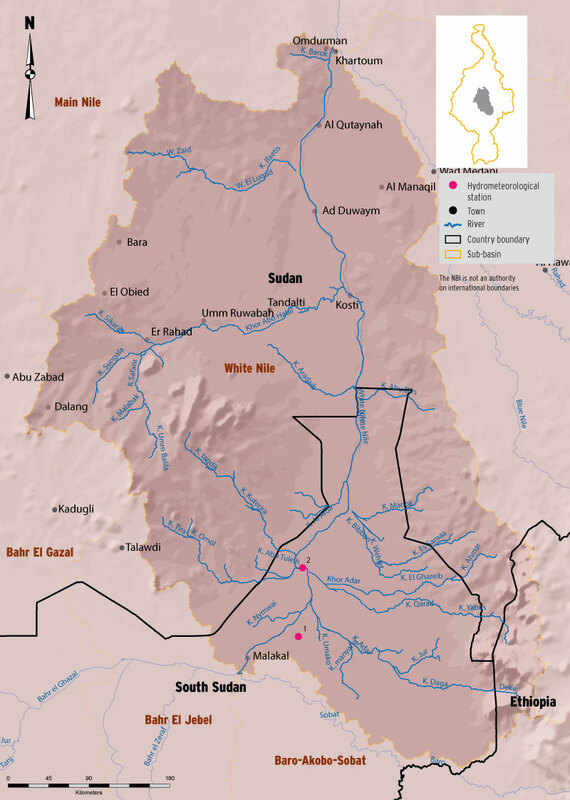 The White Nile is an important source of water, especially during the dry season (November – May/June), when the Blue Nile and other tributaries from the Ethiopian highlands are at their lowest levels. Therefore, rehabilitating the non-functioning stations in the sub-basin is urgently required. 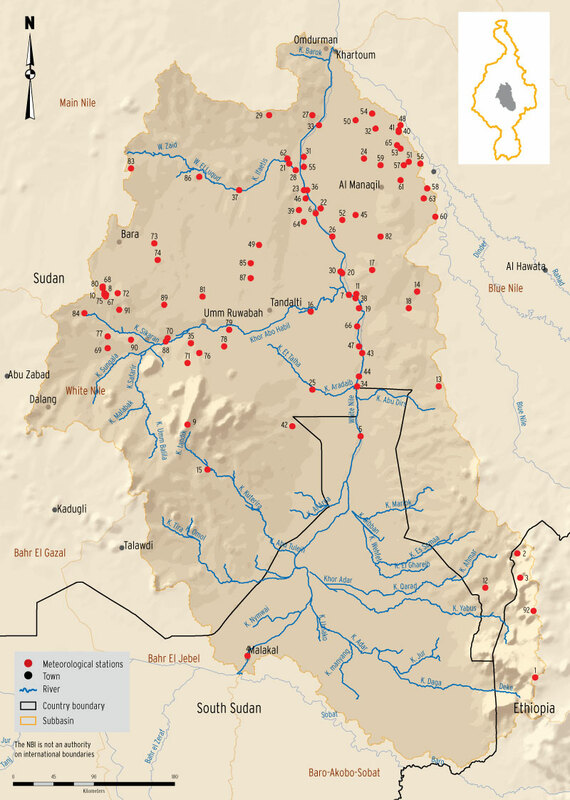 The Nile Basin regional Hydromet system has included the station at Malakal (Renk) and the station d/s of Jebel Awlia dam as regional stations.